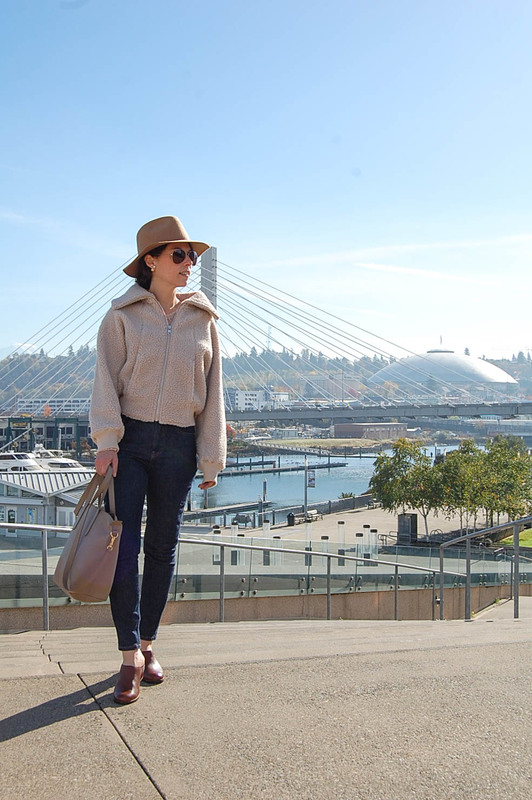 Run, Don't Walk, Warby Parker is opening a second Seattle store this weekend at University Village! 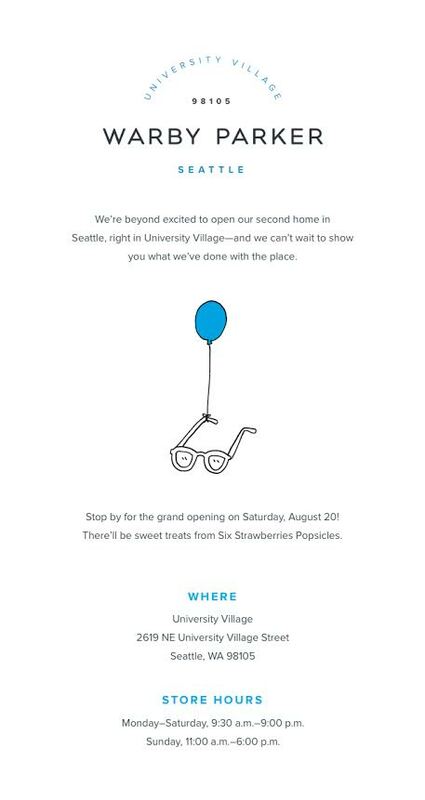 With a grand opening Saturday that includes treats from Six Strawberries Popsicles, an exclusive frame available only at U. Village, and a special gift with purchase; this is the perfect opportunity to grab some sunnies for those last summer days or a pair of eyeglasses for back to school. I recently had an opportunity to preview the new store before it's opening and immediately fell in love with the space. 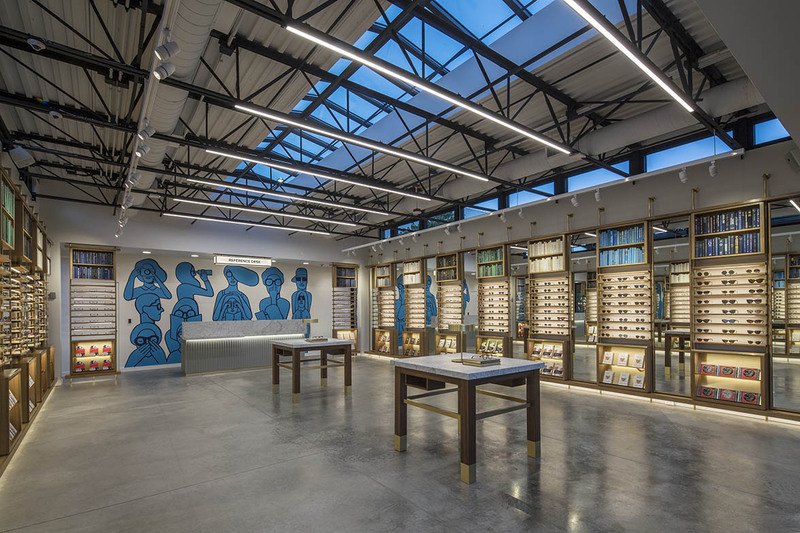 Each Warby Parker store has it's own design and theme, and the new University Village store takes after the classic library-inspired aesthetic of Warby Parker's very first store on Greene Street in New York City. With light oak shelving, spacious marble tabletops, brass detailing, concrete flooring and light pouring in through overhead skylights; this bright, open, and airy space is perfectly inviting. I found myself lingering long after choosing a pair of glasses, because you'll definitely want to peruse all the reading materials sourced from some of Warby Parker's favorite independent publishers and also available for purchase. If you're not familiar with Warby Parker, they are trying to revolutionize the eye wear industry by offering designer eye wear at a reasonable price and leading the way as a socially responsible business. 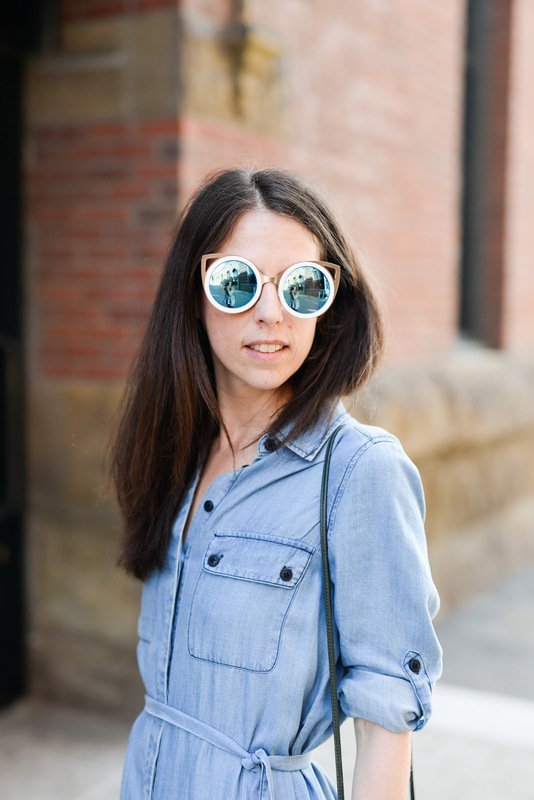 Most sunglasses and eyeglasses are only $95 (and that includes the lens!). By circumnavigating traditional channels, keeping design in house, and engaging with customers directly, they are able to provide higher quality, better looking prescription eye wear at a fraction of the cost of traditional frames and lenses. And with each pair purchased, a pair is distributed to someone in need. And since doing good never goes out of style, let's help the world see! 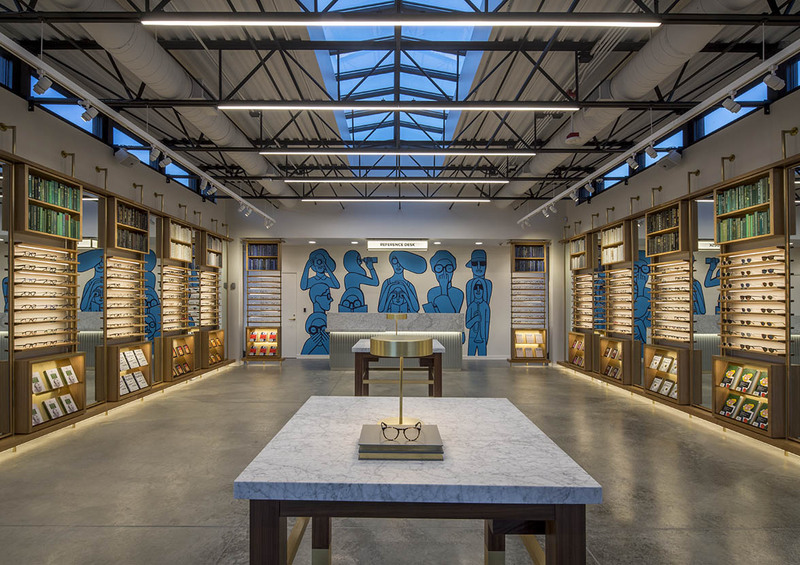 To mark the grand opening of the store, Warby Parker collaborated with artist Geoff McFetridge on two murals for the University Village space: a black and white number covering the store's exterior, and the other in bright blue behind the reference desk inside. 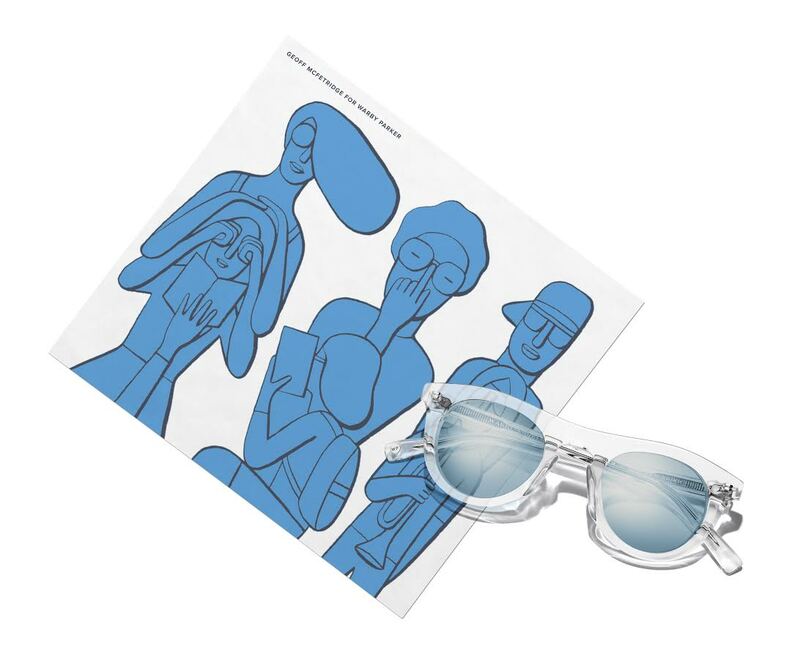 As part of the grand opening celebration, you can get a limited edition lens cloth, printed with Geoff McFetridge's colorful in-store artwork, with every purchase! There is also a limited-edition specialty frame available exclusively at the University Village store. It's a re-release of the Ketchum in Crystal, this time with a blue mirrored lens (pictured below)! All the details for the Warby Parker University Village Grand Opening Celebration at the end of this post! 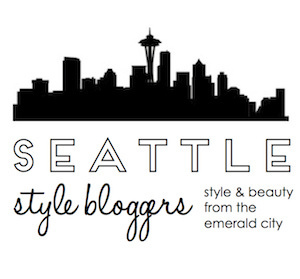 *please note: this post contains product samples and affiliate links. As always, all opinions are my own. So excited for this opening! I've been in anticipation! Ahhhh I am so excited to visit this store! I LOVE Warby Parker, and its so amazing to finally have a brick and mortar store to go to!